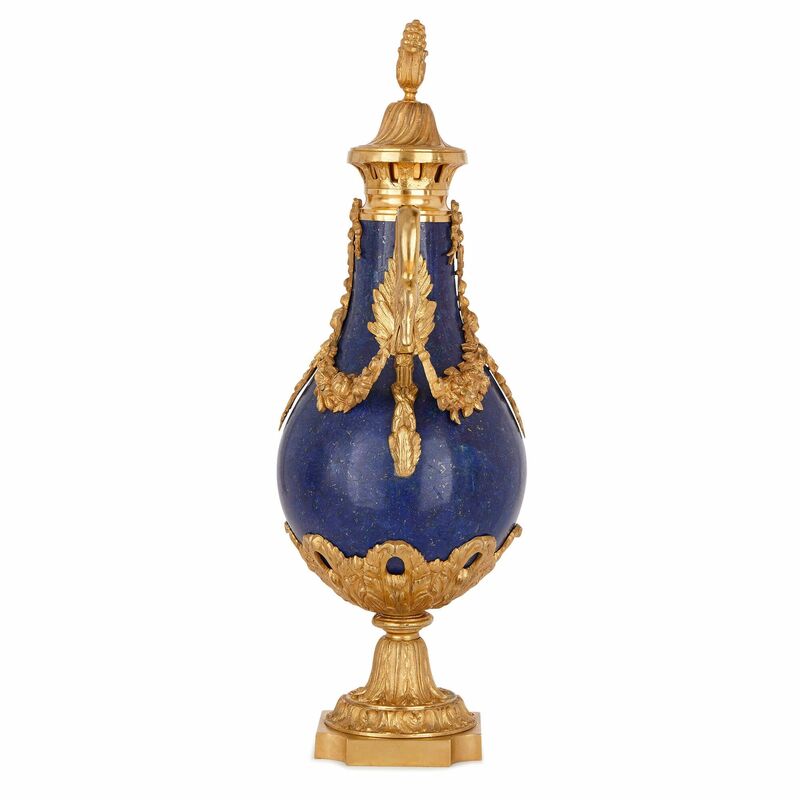 Veneered in the rich, blue gemstone lapis lazuli, and featuring fine ormolu mounts, these sumptuous vases will make excellent additions to a modern luxury home. 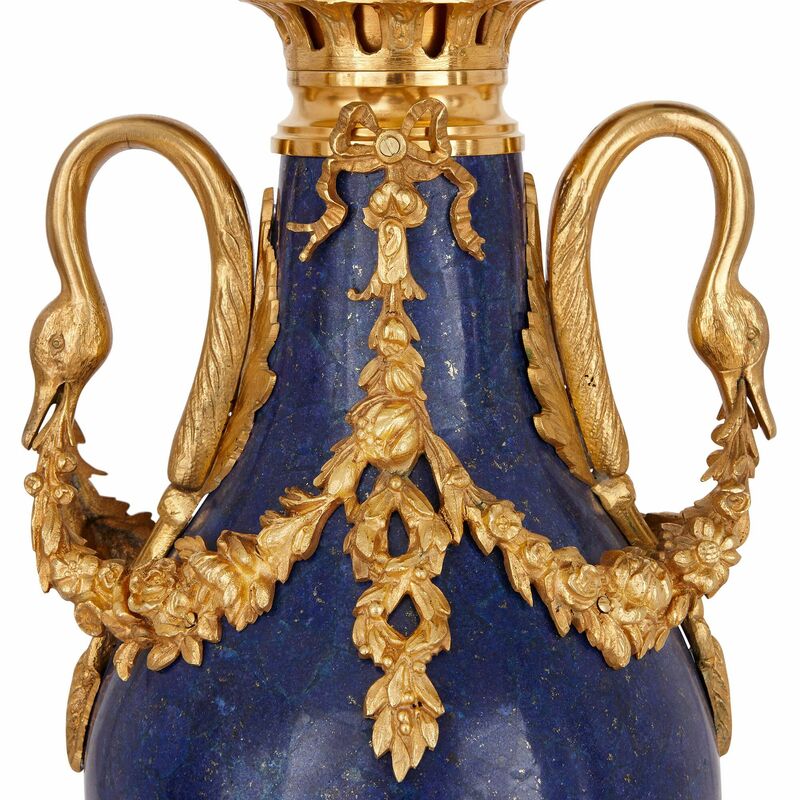 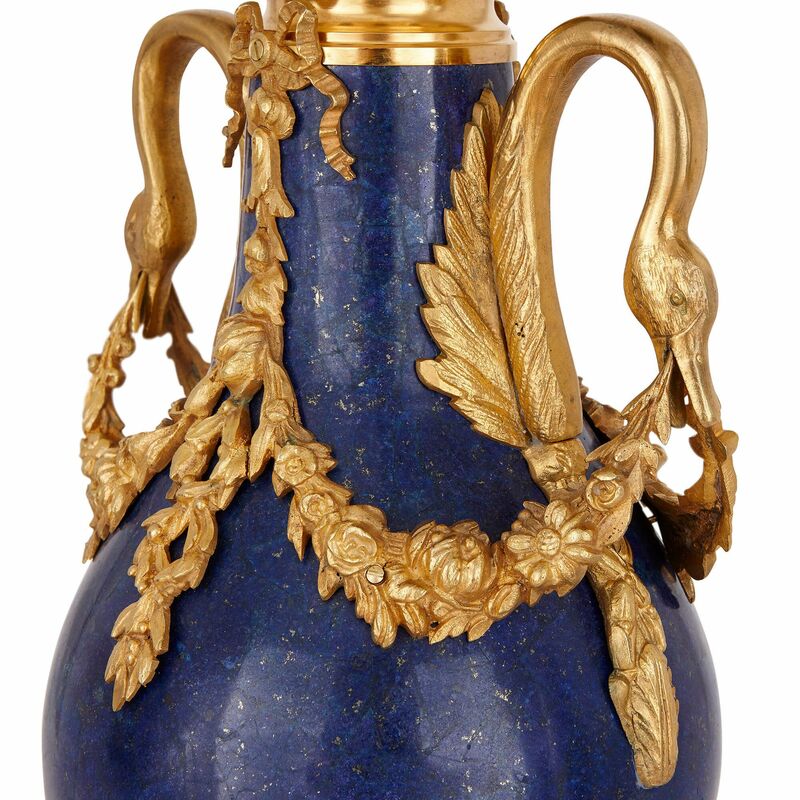 Each vase is of baluster form, with a rich lapis lazuli body, mounted in ormolu with twin swan-head handles, joined by ribbon tied floral swags. 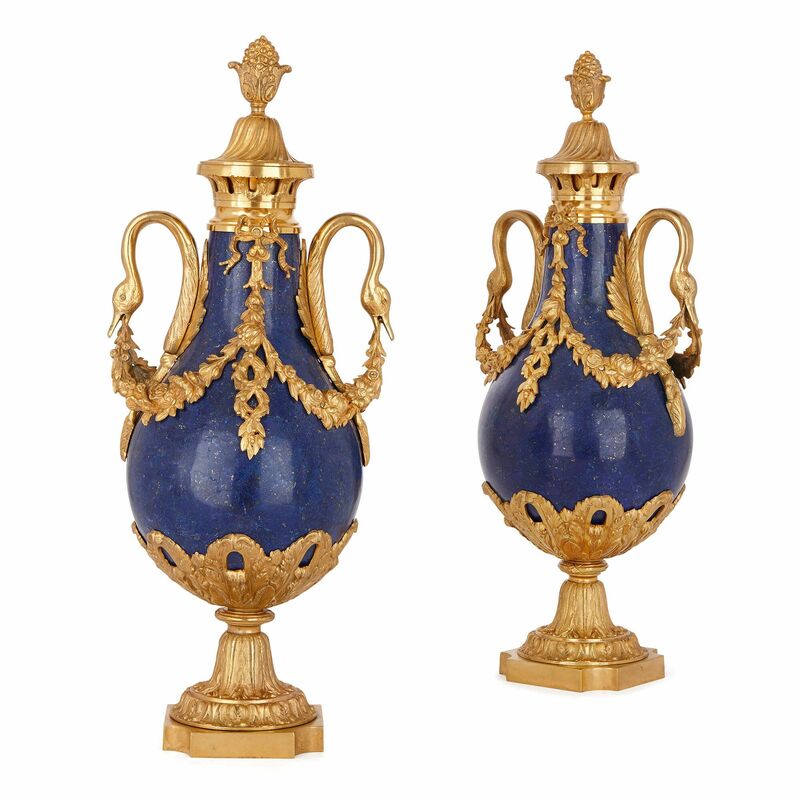 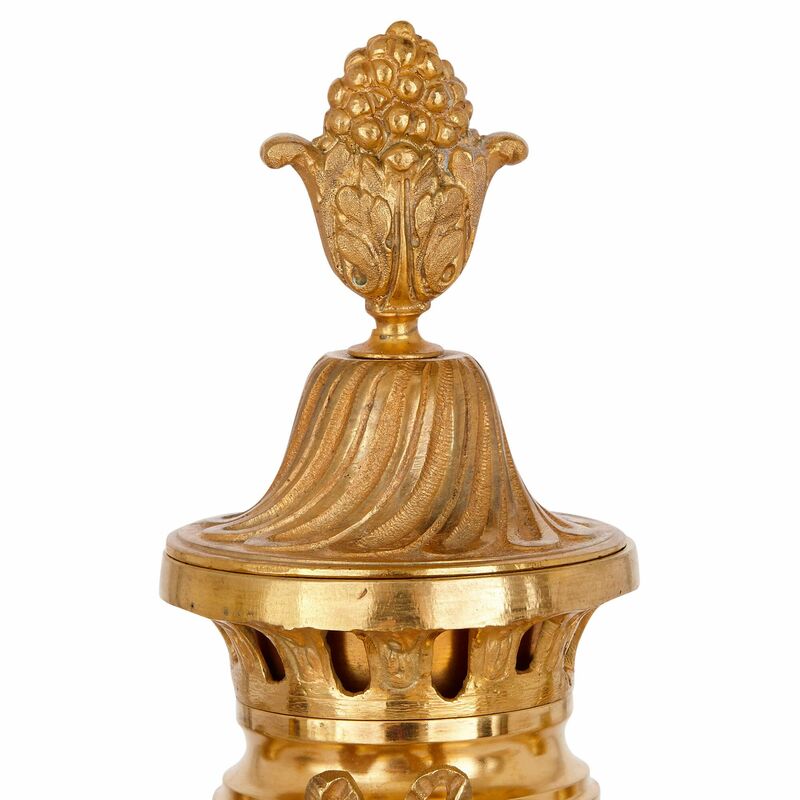 The vases sit on waisted ormolu socles on square bases with canted angles, and are surmounted with ormolu covers, each of which terminates in a pine cone finial. 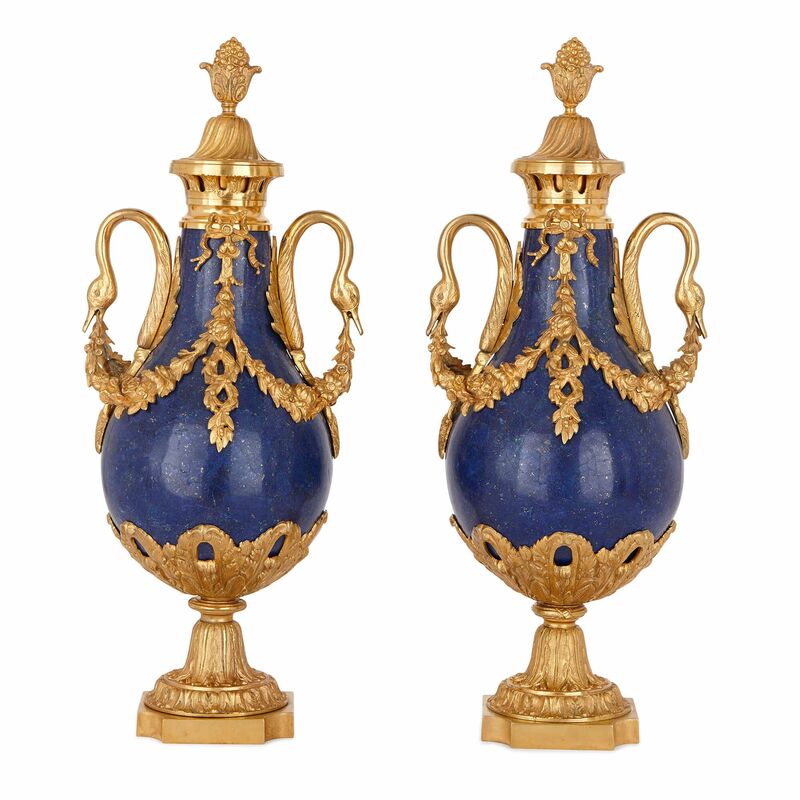 These striking vases expertly blend the old and the new, dating from the late 19th Century but featuring a later lapis lazuli veneer, thereby marrying Neoclassical grandeur with chic, modern design sensibilities.